Jacobo loves to visit his grandmother ("abuelita") in Santa Fe, New Mexico. While there, he befriends David, a Jewish child, and Jacobo notices that Davids family has many of the same traditions as his abuelita: they dont eat pork, they light two candles on Friday nights, and they eat unleavened bread during Passover. Jacobo suspects that the tortillas his own grandmother serves during semana santa, Holy Week, are Easter Matzahs! 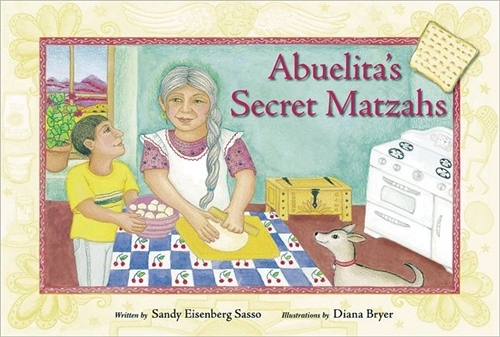 In engaging, accessible language, ABUELITAS SECRET MATZAHS tells children the fascinating but little-known story of Crypto Jews, Jews forced to convert to Christianity during the Spanish Inquisition who secretly maintained their Jewish identity and customs throughout the agesoften unaware of the reasons for some of these customs. When Jacobo persists in asking his grandmother about these practices, she tells him the secret of their past and offers him the chance to be the keeper of traditions for his generation. As Jacobo learns about the origins of his family, he begins to think about his own place in the chain of the generations. After reading the story, parents and children will be able to discuss their own family traditions and history.